Installed on mains plumbing, sediment, chlorine and contaminants are removed from all taps and showers throughout the house, at up to 45 litres per minute, protecting tap washers, hot water systems and appliances. The fully automatic backwash valve extends the life of the granular activated carbon media by enabling it to be back-washed and cleaned. All sediment and sludge is flushed to waste, either into the garden or storm water drain. This allows the mechanical clockwork operation to back-wash, stopping automatically at the end of the short cycle. Using this method the carbon media will last the average household three to four years, depending on water quality and usage. Our whole house systems are supplied with all the appropriate and necessary parts and fittings. As an extra, semi-auto and auto bypasses are available. These bypasses allow the user to easily divert water around the treatment device (rather than through it) proving very useful at times of maintenance or perhaps even to ease the usage of your system. BIG BLUE HIGH FLOW SINGLE OR DOUBLE 10 INCH OR 20 INCH. 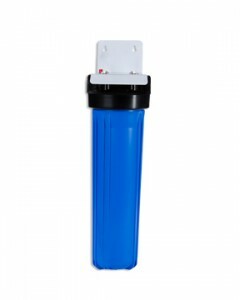 We supply a large range of filter cartridges compatible for Whole House/High Flow filter systems. 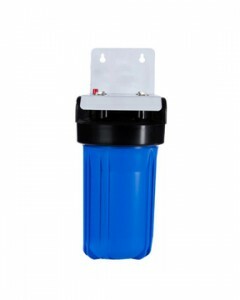 Dependent on what contaminants you would like removed from your whole house water supply – we have the ideal cartridge. 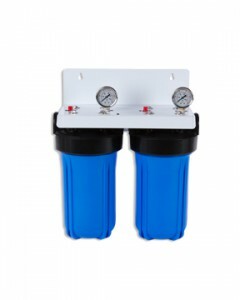 The Big Blue filtration systems are specifically designed to cater to areas where a high flow rate is needed, for example an entire house, industrial area or commercial zone. Installed on mains plumbing, sediment and chlorine are removed from all faucets/ showers throughout the premises, at up to 20 litres per minute, protecting tap washers, hot water systems and appliances. 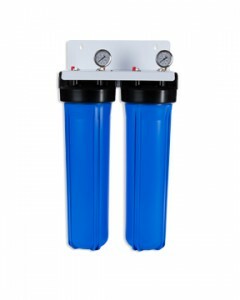 The size of system that you require can be determined by the water quality and what is required to be filtered from the water. Dependent on the application of your system, it can be fitted with your choice of cartridges to suite various filtration needs i.e. sediment, chlorine, heavy metals, bacteria and parasites. The flow rate for sediment filtration is approximately 75 litres per minute for this 10” x 4.5” BB System. The flow rate for carbon filtration (which works on contact time rather than mechanical filtration) is 12 litres per minute for this 10” x 4.5” BB System. Available in 10inch and 20inch sizes and housing can be purchased as singles or in twin.